Orthodontics, the oldest of the dental specialties, focuses on the diagnosis and treatment of dental and associated facial irregularities. Orthodontic treatment allows us to bring the teeth and jaws into harmony three-dimensionally. The results of orthodontic treatment can be dramatic–beautiful smiles, improved dental health, and an enhanced quality of life for people of ALL ages. Drs. Berkman and Shapiro follow the recommendation of the American Association of Orthodontics, which recommends an orthodontic screening for each child at age seven or about the time of the eruption of the upper permanent front teeth. This permits the identification of any developing problems as well as the initiation of any indicated interceptive treatment. In the majority of cases, treatment will not begin until much later. However, because of the instances in which a child would benefit from treatment at a younger age, it is important that everyone be at least evaluated at an early age. Knowledge of developing problems combined with right-on-time treatment brings peace of mind to the parent and the child. 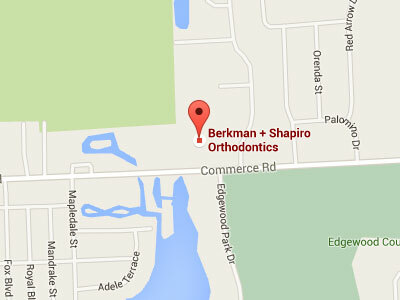 All of the braces used at Berkman & Shapiro Orthodontics are state-of-the-art. By combining modern, highly-efficient technologies with a completely computerized office, patients enjoy shorter appointments, more time between visits, and less time in treatment. Your time is valuable; we recognize that. 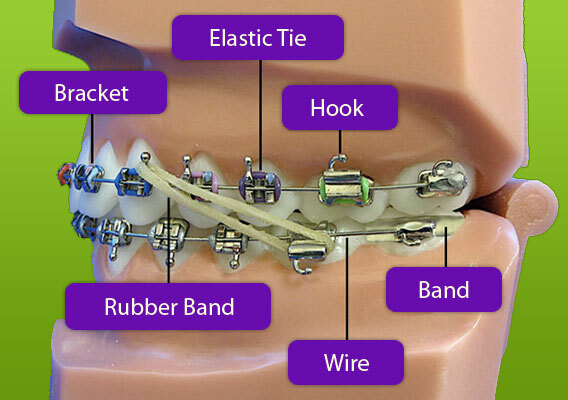 There are a variety of orthodontic technologies currently employed at the office. Below are a few – check them out! Silver braces are the most familiar type. They are most often recommended for certain types of treatment. They are held on to teeth with space-age adhesive, so that frequent bracket breakage is a thing of the past! They come in silver or gold. 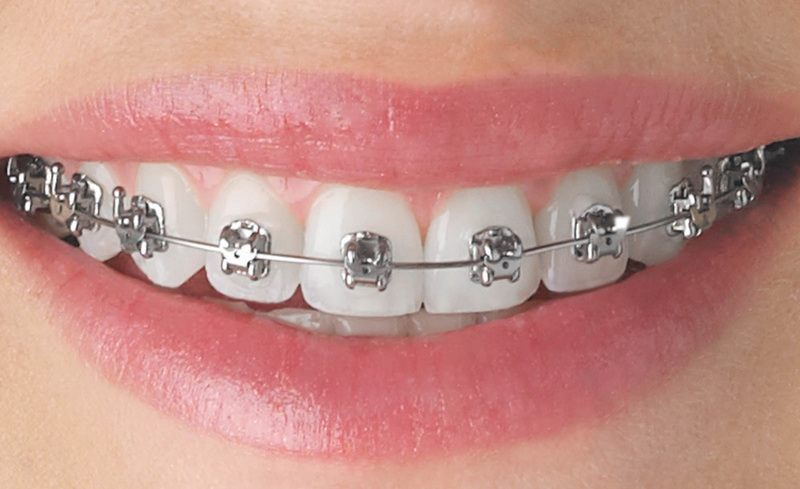 Clear or “tooth-colored” brackets bond onto the outside surfaces of your teeth, similar to conventional braces. Their clear or natural color gives them a less noticeable, “camouflaged” look.